We are almost half way through the month. A common resolution for the year is always to get organized in one way or another. Maybe it’s your classroom, your closet, your bedroom, the garage, or your mail pile–being organized just makes us all feel better! 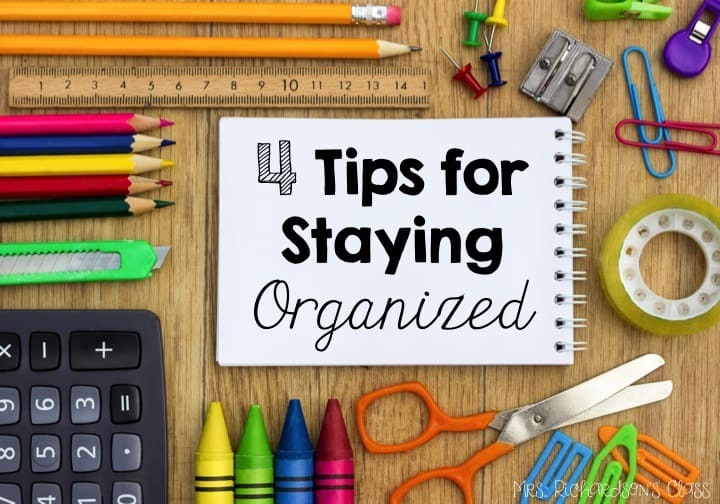 But staying organized…that’s when it gets tough. 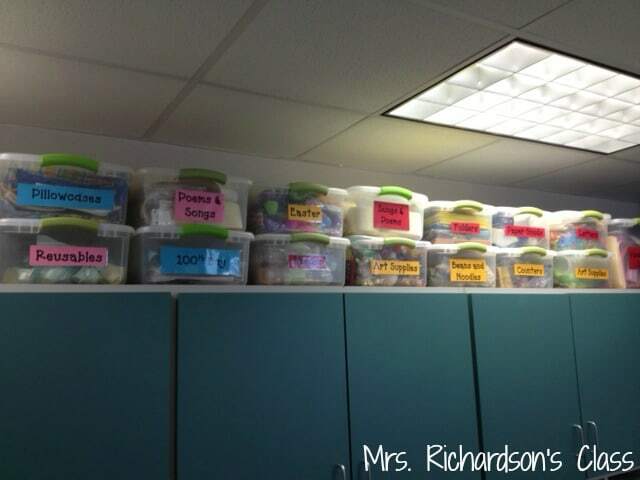 I get busy or overwhelmed with something else so I end up ignoring the growing “to file pile” in my classroom. 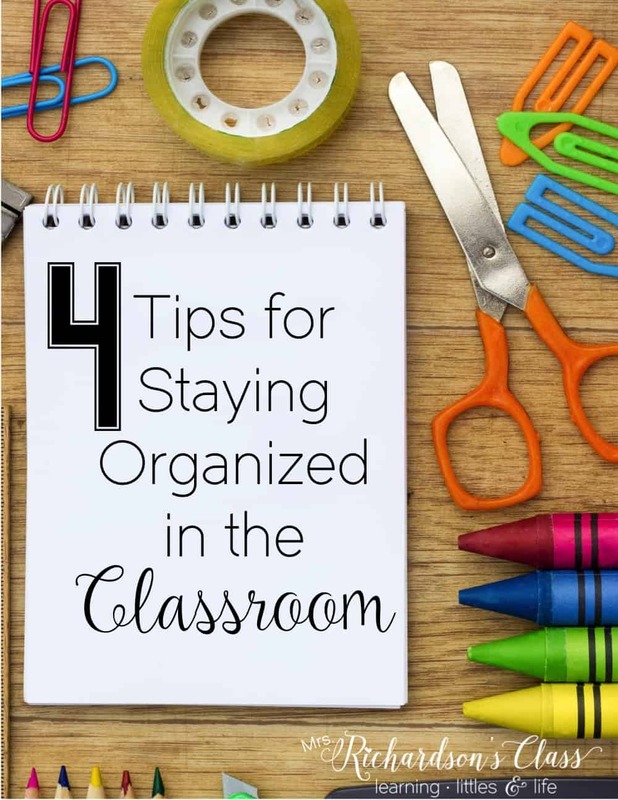 I want to share some tips to help you STAY organized in your classroom. Amzaon affiliate links used below. That’s right. Give every item a home. If you don’t have a home for it, get rid of it. Can’t find a place to store it? Chunk it. Less is more. Here is a picture from above my cabinets. Everything had a home in my favorite tubs. If I didn’t have anymore room in the tub for an item that went there, I either chunked it or something else. What’s in that tub? Can’t remember? Can’t remember where the home is for that item? Label it. 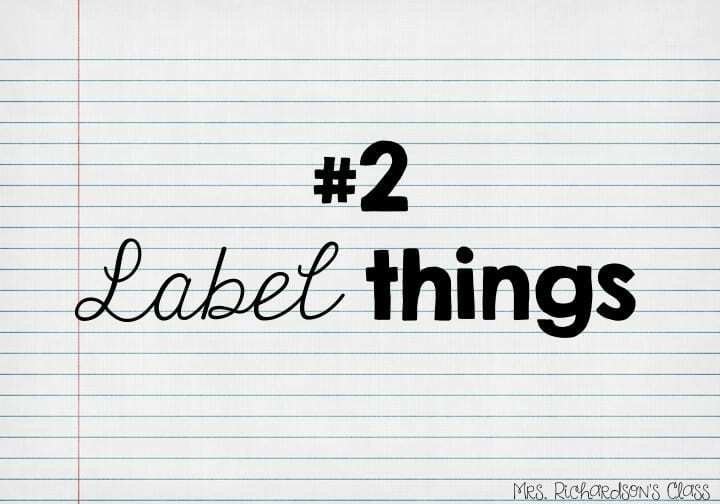 Grab your favorite colored paper and type up some labels. One of my favorite things to do is put things in tubs and label them. Here is a picture of my cabinets in my classroom with everything labeled, even inside the cabinets. 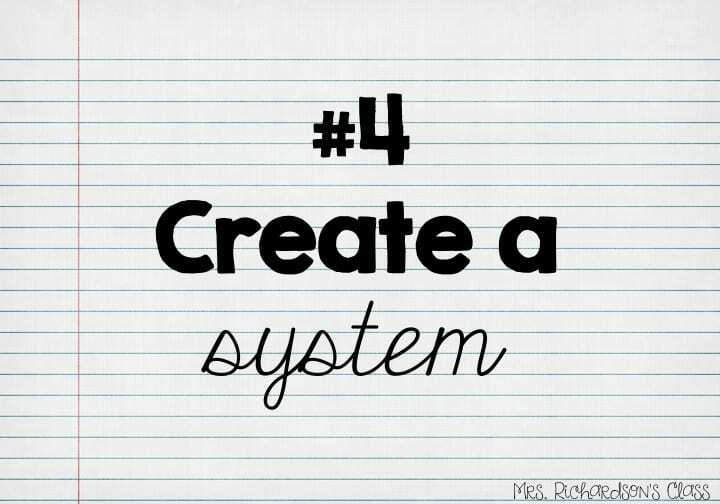 Create a system and stick to it! 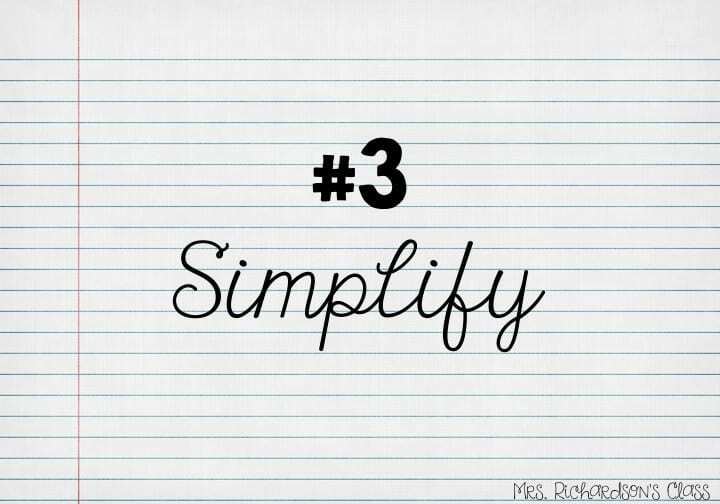 The process needs to remain simple. Maybe every Friday you file your “To File Pile”, or you always make the copies for the following week on Thursday to help stay ahead and well planned. When you add something, you take something out maybe. In order for something to stay, something must go. (I have friends who have that system with their closet.) Whatever your system may be that works best for you, try your best to keep it. Not only does it feel good to check things off of the “To-Do” list, but you also will feel better because you will remain organized! What are YOUR tips and tricks for staying organized? I’d love to hear them! 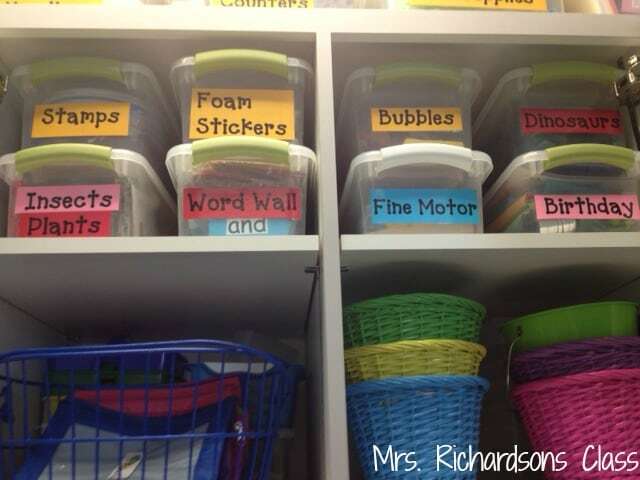 Teacher should get discounts on all storage containers! It’s the only way to keep us organized and sane!